Home » College Students » Career Guides » What’s it Like to Work in Finance? In other words, it’ll be a while before you can buy that private island. What do careers in finance look like? Although the financial world is broad, it can be narrowed down to a few basic categories. Finance majors can enter roles in financial services firms, which typically involve providing financial services (e.g. recommendations, analysis, etc.) to clients on either a personal or company level. Some jobs in client services include financial planner, accountant, and commercial banker. Financial planners typically work for larger firms, but 25% are self employed, providing a career path for those that are entrepreneurially inclined to start their own firms later. Accounting jobs are often coveted for their stability and relatively high initial wages. Accountants are typically hired to assist clients with taxes – both corporate and personal – although many accountants also work in audit (basically, analysis of a firm’s financial activities done by objective third-parties). Despite this consistency, hours are longer than average, with only 34% of accountants at the top 10 firms reporting that they work 8 hours or less a day. Jobs at retail banks may not seem appealing on paper, but typically provide clearer career paths than those that work at management firms. Bankers get to enhance their interpersonal skills and guide clients through their various options and help them dabble in various sectors in finance management. Bank of America offers training programs to those that want to enter the career path to corporate/upper management after retail work. Corporate financial analysts work within the company they’re employed with to supervise the money and how it’s moved around the company. This job will include thinking critically about how to accomplish goals with a set budget, and interacting with different departments to find out how the company allocates its resources. Just like with commercial banks, many larger companies offer training programs to invest in talent. General Electric offers their FMP, or Financial Management Program, to recent graduates with an interest in finance. Combined with seminars and projects, the FMP also rotates employees to multiple locations across the country to learn in different offices. Investment banking is a hot job right now, and where all of the aspiring Gordon Gekkos look to to make their millions. 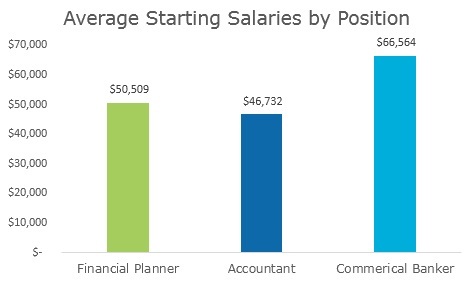 A starting position at an investment bank is called an analyst, and are typically paid exceptionally well at $102,000. Analysts spend their (long) days creating lots of spreadsheets and presentations, so get used to Excel and PowerPoint. These spreadsheets typically involve financial modeling to analyze potential companies the bank may be interested in, or simply researching an industry for potential areas of profit. This research is then summarized into presentations and pitch books that the banks will use both for clients as well as inhouse. Analysts are expected to do a lot of the grunt work, and can work up to and exceeding 80 hours a week. Check out this article for a clearer idea of the career path in investment banking. Another popular route for careers with investment is a job with hedge funds, though typically people will work at investment banks prior to getting a start with hedge funds. While similar to investment banking in terms of hours and needed skills, the key difference is between the management of funds. To put it simply, hedge funds are capital looking for businesses in which to invest. Investment banks represent businesses looking for capital. 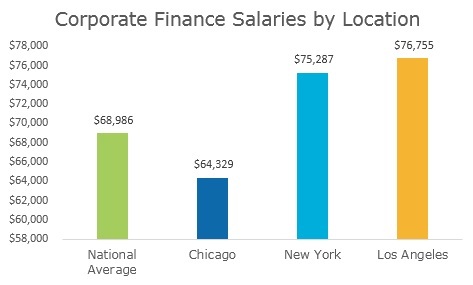 Average starting pay at hedge funds is $95,000, but the ceiling is much higher. For potential earnings in the future check out this report. 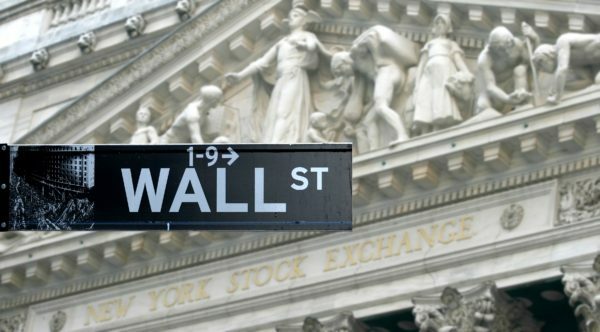 Overall, most people don’t become Wolves of Wall Street, but earn above average salaries applying their knowledge of finance to a variety of careers. Interested in a job in finance? Questions? Comments? Chat with us. Quickly and easily find career path, compensation, and satisfaction data for your career options by signing up for a free TransparentCareer account (it takes just 2 minutes – just click here).